Many patients who hear the terms plastic or cosmetic surgery assume that the two are synonymous. However, there are fine distinctions between the two types of surgery. If you are considering a procedure and looking for a surgeon, it’s critical that you fully understand these differences. Plastic surgery is a branch of surgery dedicated to the reconstruction of the body or facial defects due to an illness, trauma, disease or birth defect. However, in some cases, plastic surgery can also be involved with the enhancement of the appearance of a patient through operations such as facelifts, rhinoplasty, breast augmentation and liposuction. Cosmetic surgery is a unique discipline of medicine focused on enhancing appearance through surgical and medical techniques. It can be performed on all areas of the head, neck, and body. Unlike with plastic surgery, cosmetically treated areas function properly but lack aesthetic appeal. As such, cosmetic surgery is considered to be elective. If you are suffering from skin conditions such as acne and rosacea or simply have some unwanted fine facial lines, Kelowna skin treatments are designed to restore the youth and vitality to your skin for a healthier, more beautiful appearance. Body contouring procedures focus on removing stubborn, loose skin from trouble areas such as the abdomen, thighs, buttocks, and arms. Whether you are considering extensive cosmetic surgery such as an abdominoplasty or liposuction or are simply opting for a non-invasive dermal filler or other skin treatments, selecting a board certified plastic surgeon is essential. 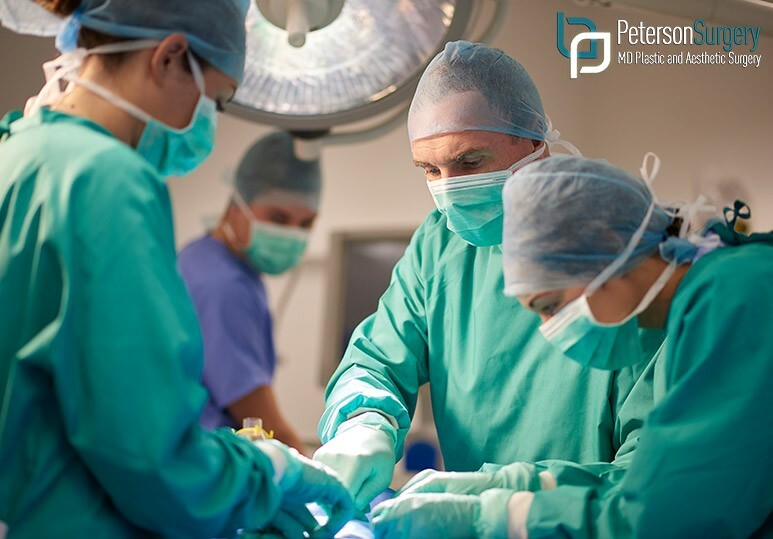 At Peterson MD, we have a skilled team of board-certified plastic surgeons who are fully trained to provide a scope of cosmetic and plastic surgery procedures and give our patients the safest, most effective results. If you want to learn more about a particular cosmetic/plastic procedure or would like to know more about the credentials of our plastic surgeons, contact our clinic today at 250-868-9290.